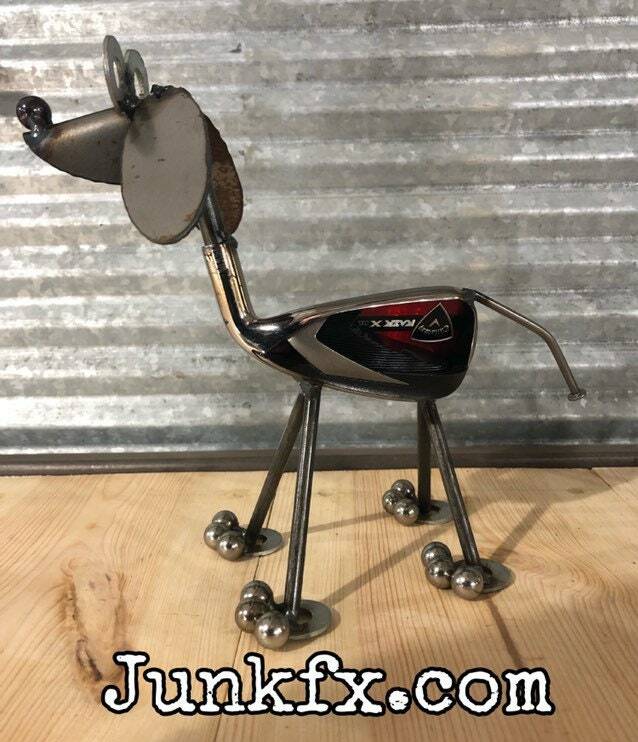 I make these dogs from vintage golf clubs. Perfect for the golf enthusiast. This is not the one you will get. But you will get one just as cool. Want your clubs made into something, I can do custom orders just contact me for details. It’s perfect! Came super fast, was just what I wanted, & I even got a 10% off coupon for my next buy! If you are not happy with anything I will do whatever I need to do to take care of it.